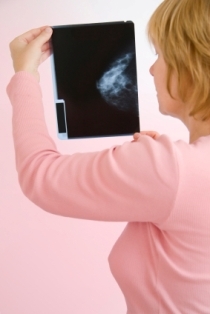 According to a recent report, breast cancer misdiagnosis affects one in three women. In about three months, you’re going to hear a lot about breast cancer. That’s because breast cancer awareness month is held every October, where women and men encourage their moms, sisters, and wives to get screened. While screenings have without question saved the lives of millions of women, these screenings haven’t been an entirely positive practice. That’s because according to a recent report, almost one in three women that are diagnosed for breast cancer are actually misdiagnosed. More specifically, they’re being treated when no treatment is necessary! Naturally, this results in unnecessary health care costs on an already overwrought health care system, but more importantly, irreversible damage done to a woman’s physical health and emotional psyche. The whole point of a breast cancer screening is for a mammogram to discover a polyp in a woman’s breast before it grows too large so that effective treatment can be employed and mortality rates from breast cancer can drop. But when researchers from the Nordic Cochrane Center in Denmark investigated this, they found that increases in screenings did nothing to drop the number of advanced breast cancer cases (again, the whole point behind increasing the number of screenings). The only thing it identified was more breast cancer cases – thousands more – and that many of these cases were of women who had polyps so small and insignificant that they’d never advance to a point where they’d become cancerous. Similar cases have been documented among men with prostate cancer, where men were treated with the whole nine yards that comes with conventional cancer treatment (radiation, chemotherapy, etc.). In fact according to a Netherlands study that uncovered this, two out of every five men diagnosed with prostate cancer were treated unnecessarily. The Denmark study was 14 years in length and analyzed breast cancer trends among several European nations. It looked at women diagnosed with breast cancer between the ages of 50 and 69. It’s published in the British Medical Journal. It’s sad to have to admit this, but this really doesn’t come as much of a surprise when you look at the breast cancer numbers over the years. Think about it: When there’s an increase in the number of breast cancer screenings, there ought to be a drop in the number of breast cancer deaths and advanced diagnoses. But breast cancer has remained on top of the heap in prevalence among women – second only to non-melanoma skin cancer – and is the leading cancer-related death among Hispanic women. And since 2005 (the latest year with statistics like these available), it is the seventh leading cause of death among women, with just a few hundred more dying from unintentional injuries like traffic accidents (41,116). My reporting this should not be construed as a call not to get screened. Screening remains important and has certainly saved more lives than it’s harmed. Nevertheless, it is a call to be cautious when undergoing screening and be willing to get a second opinion if you are in fact diagnosed with breast cancer. Going the conventional treatment route is extremely invasive and costly (which is why if at all possible you should pursue non-chemotherapy based treatments), and an extremely emotional one at that. Imagine the emotional turmoil of believing you may be dying, only to find out later – after all the side effects that come with chemotherapy – that you were treated unnecessarily. Sadly, for 33 percent of those diagnosed with breast cancer, this experience is not uncommon. Posted: July 22nd, 2009 under Breast Cancer, Cancer.